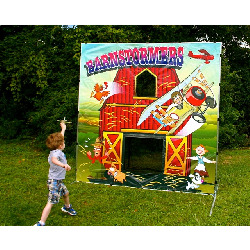 Barnstormers is a is high-flying fun! Kids and adults love throwing the model glider planes and trying to navigate through the open barn doors. Cute and whimsical, this game is always a crowd pleaser.